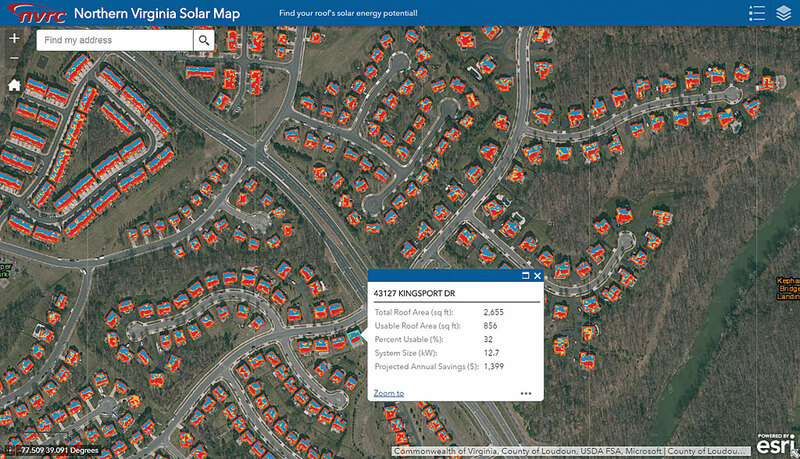 The Northern Virginia Solar Map was successfully completed and unveiled in August 2016. 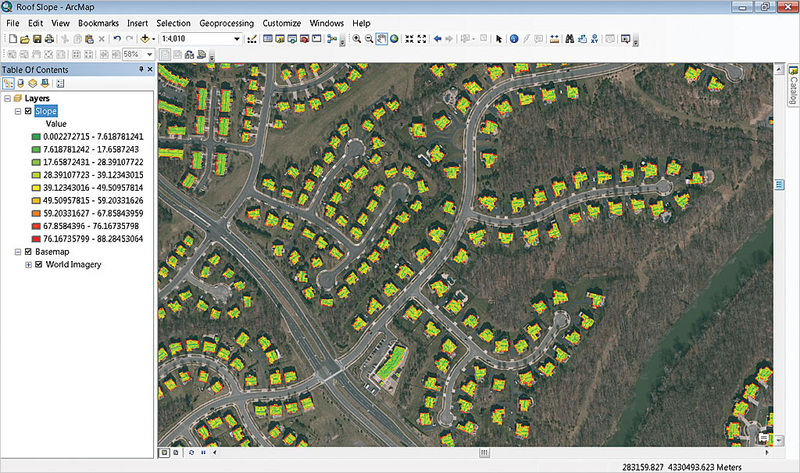 GIS technology and Esri’s ArcGIS software proved indispensable in the development of the web app, which lets property owners evaluate the benefits and impacts of placing photovoltaic (PV) panels on their roofs. 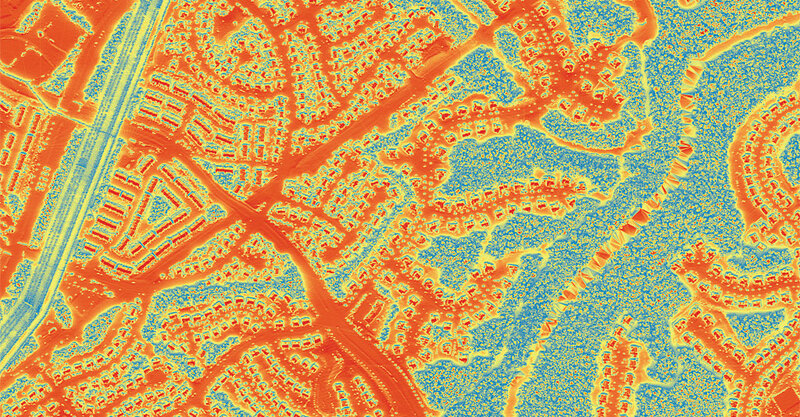 “With existing GIS technology, can the solar energy potential of northern Virginia building roofs be determined and provided to the public as an online service?” Robert Lazaro, director of Regional Energy and Sustainability Policy at Northern Virginia Regional Commission (NVRC) had asked. At the time, it was not clear if such a project could be undertaken. NVRC began thinking about creating an online solar map that would provide information on the potential of this alternative energy source. Brandon Flessner, a GIS analyst with the Ohio-Kentucky-Indiana Council of Government (OKI), readily shared his experience in developing the web map OKI Solar Ready II, using a grant from the US Department of Energy. NVRC decided to adopt Flessner’s method in the development of its own solar map, which would be the first of its kind in the Commonwealth of Virginia. 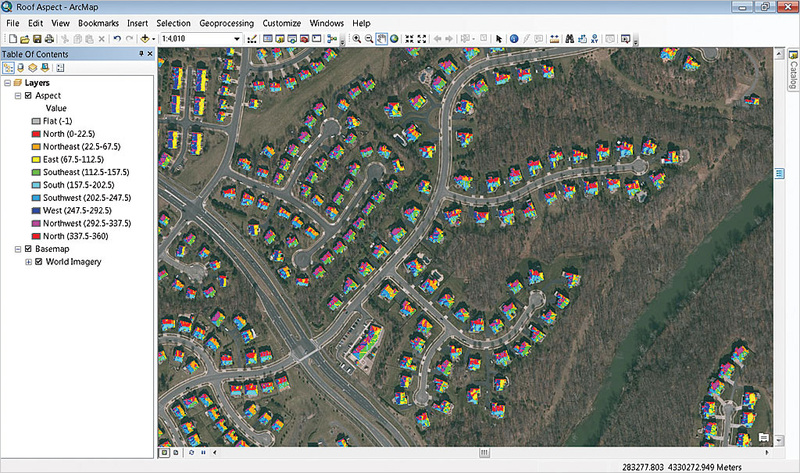 The alternative was to use ArcGIS for Server software to host the site on NVRC’s own server. 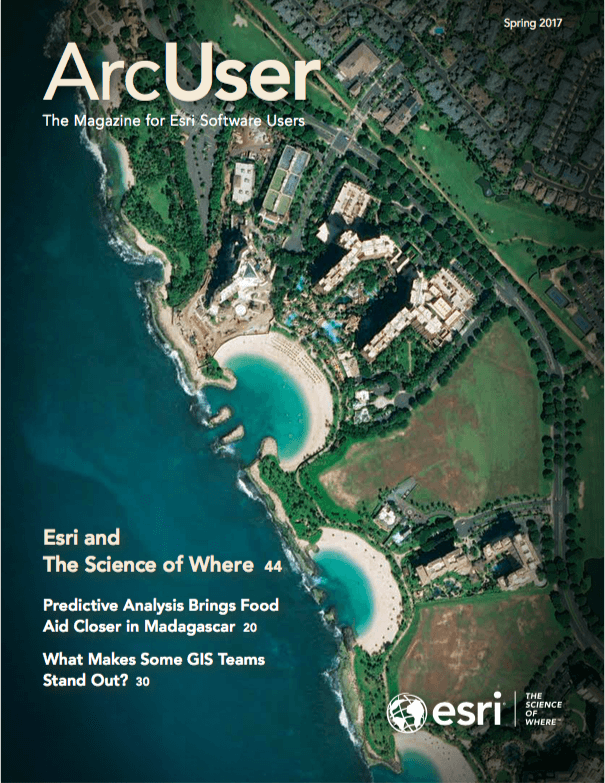 The Washington Metropolitan Consortium of Governments (WMCOG) agreed to provide a grant to NVRC to acquire ArcGIS for Server, overcoming a significant hurdle.